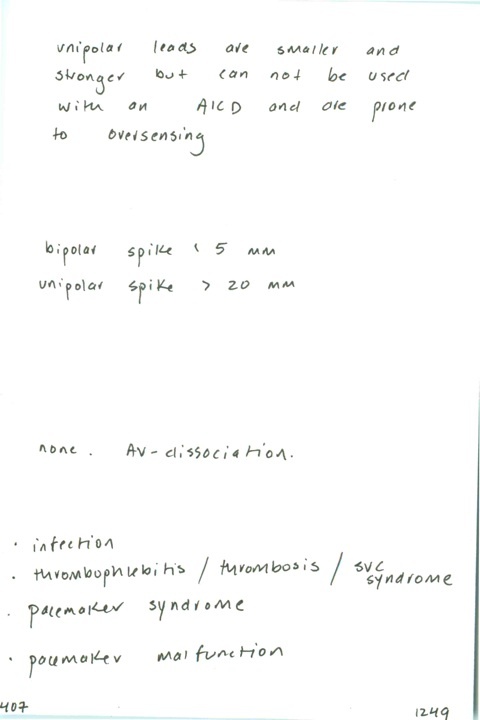 This patient suffered a brady-asystolic arrest and a transvenous pacer was placed in the emergency department. We are accustomed to relying on the monitor’s ECG tracing to determine heart rate; however, a good pulse oximeter waveform better reflects the number of perfusing beats. Note the heart rate, as measured by the pulse ox, is reported in purple in the upper-right corner of the monitor. At this point we had achieved electrical capture but not mechanical capture. 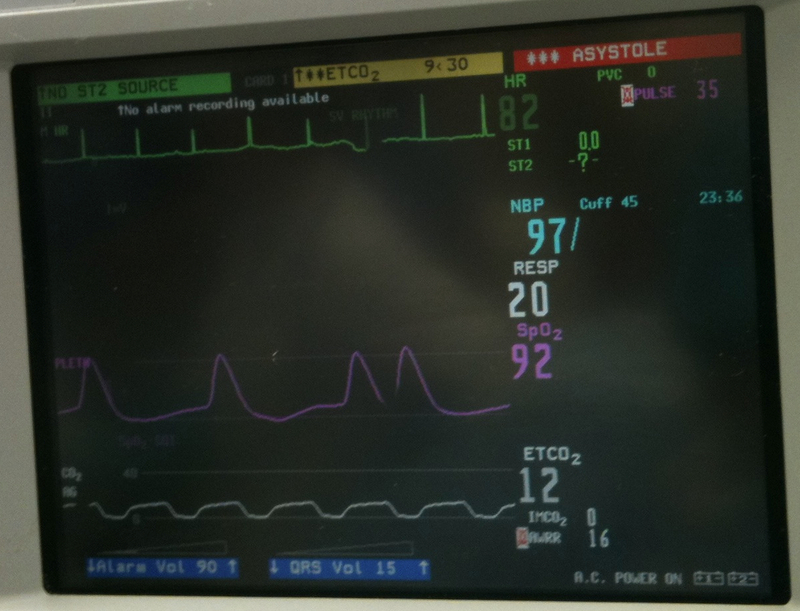 Watching the pulse oximetry graph is a slick way to guide pacemaker insertion. 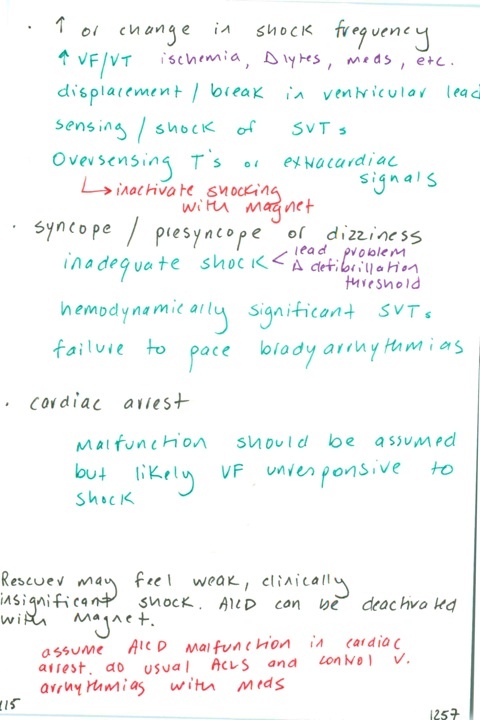 Cardiac sonography and placing a finger on the patient’s neck to assess the pulse are alternatives. 415. 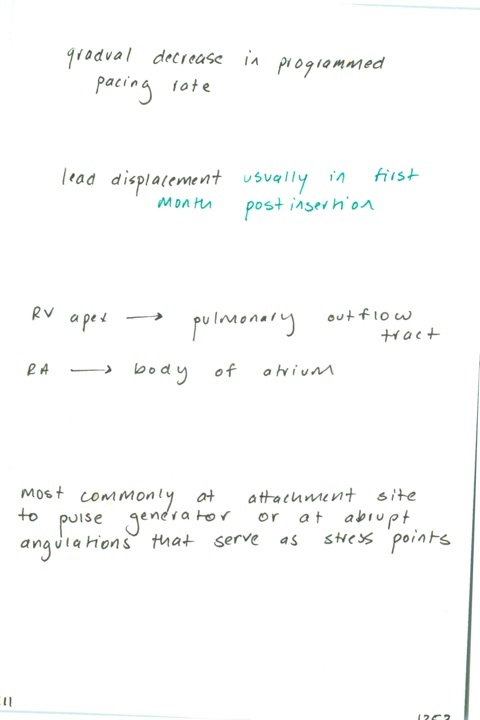 3 types of AICD malfunction and their causes / What does a magnet do to an AICD? / Chest compressions with AICD? What if it shocks the rescuer? 412. What is exit block and what are its causes? 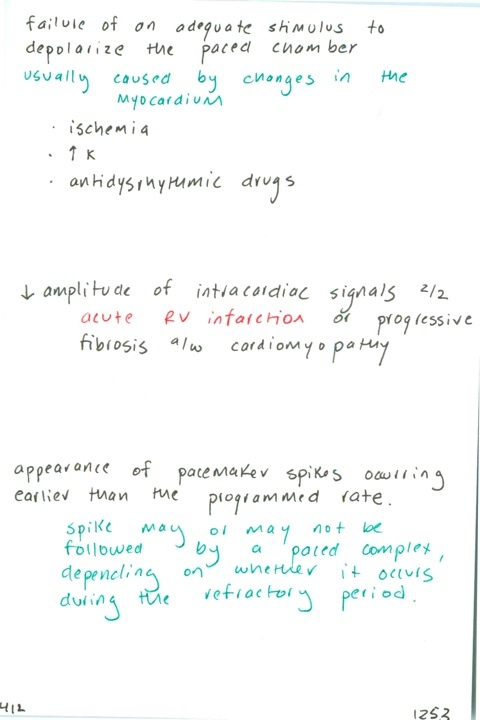 / Most common cause of undersensing / What does undersensing look like on ECG? 411. What is the first sign of battery voltage depletion? / Most common cause of failure to capture / Where do leads commonly displace? 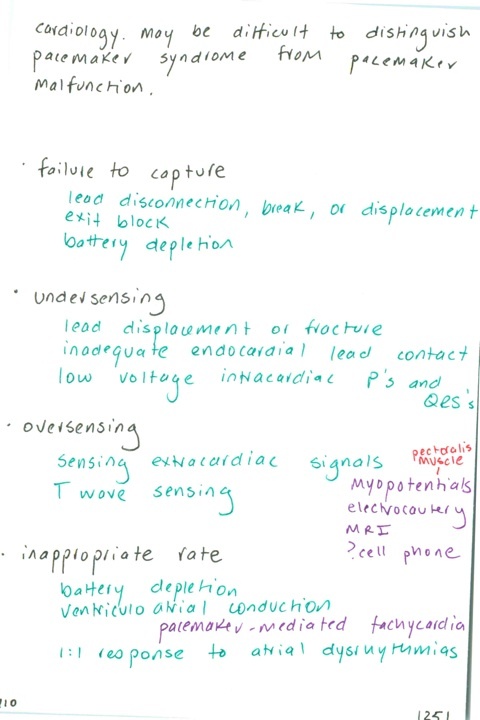 / Where do lead fractures occur? 409. 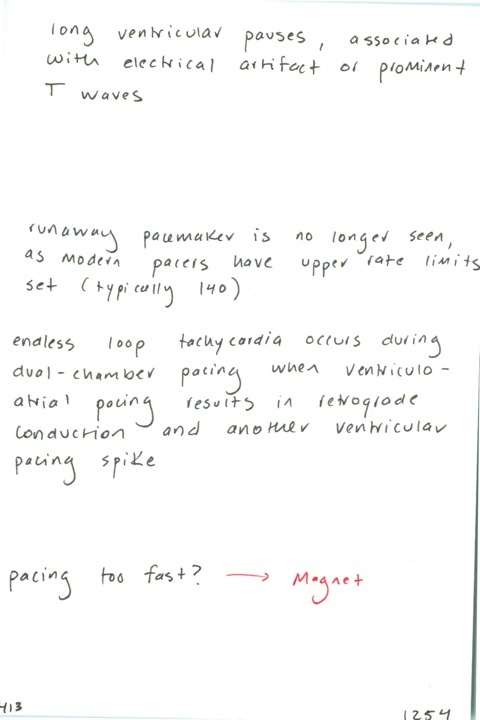 What does a VVI pacer look like on CXR? / DDD or DVI pacer? 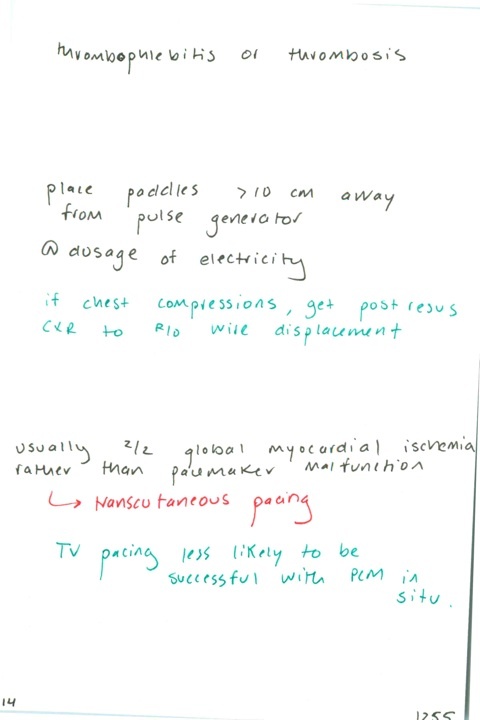 / Must DDD or DVI pacer provide 2 spikes on ECG? 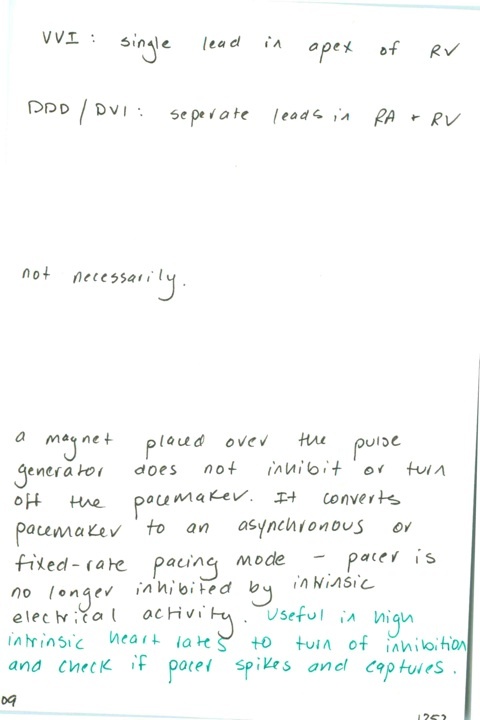 / What is the effect of a magnet on a pacemaker?